In this close-up, you can see how the supplementary weft threads in this type of pattern (on the green ground in this gho) are taken all the way to the rainbow stripes, and the point where they reverse direction is hidden there. 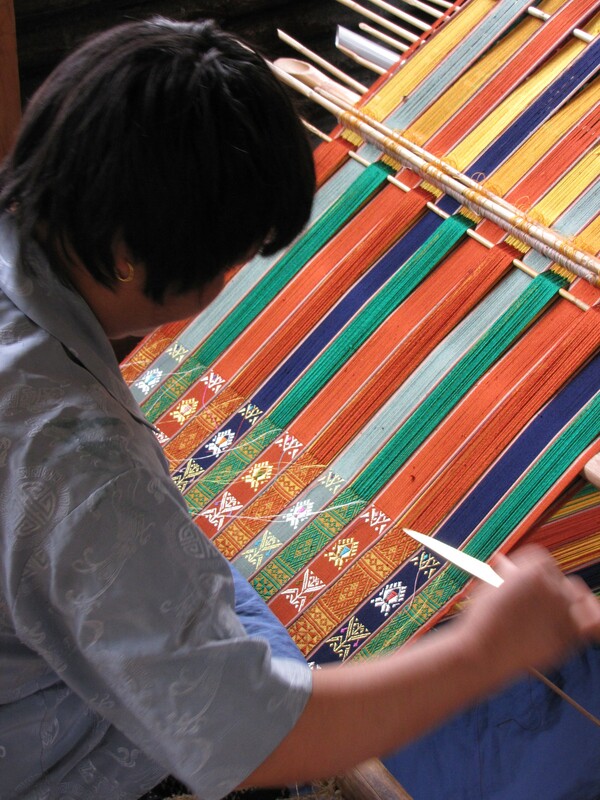 This contrasts with sapma designs used in kushutara, where the supplementary weft threads are reversed at the edge of the motif, and the resulting dots are often an integral part of the pattern. 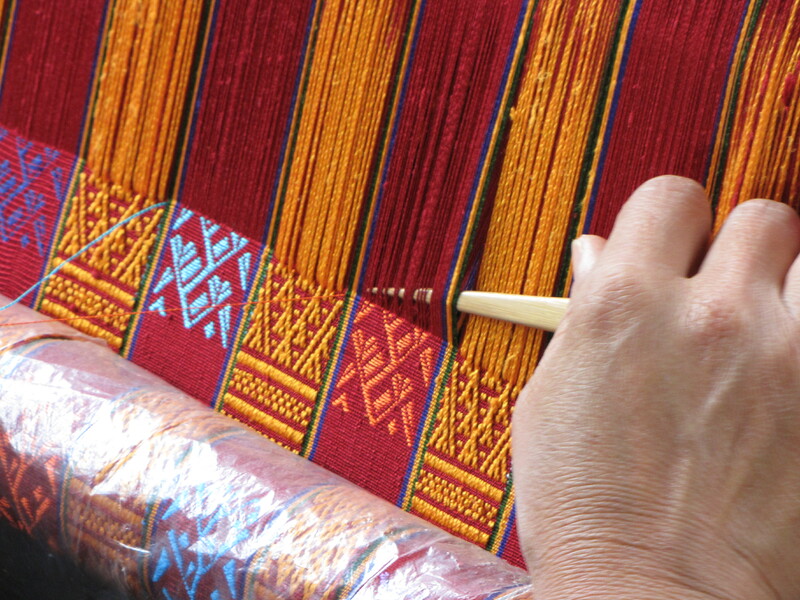 These motifs are also woven using a pickup stick, but without grouping the warp threads in pairs first as is done in sapma designs. 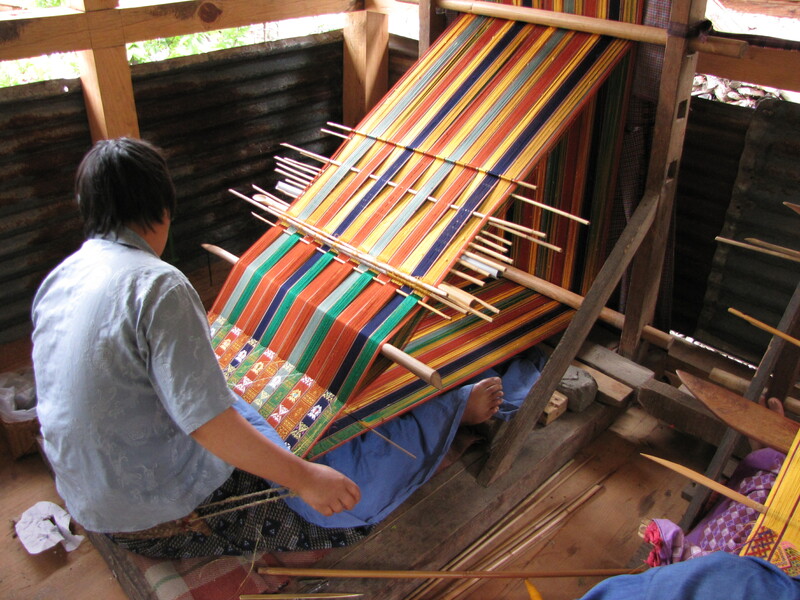 The “legs” on the yellow and red supplementary warp stripe can be seen here: the gho to the left has 9 legs. 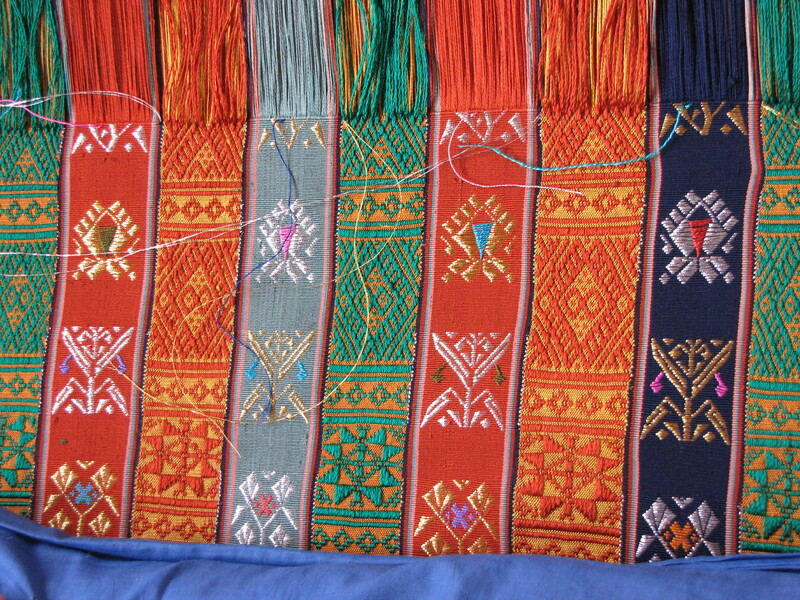 This entry was posted in Bhutanese Techniques and tagged Aikapur, Asian, Bhutan, Textile by Wendy Garrity. Bookmark the permalink.